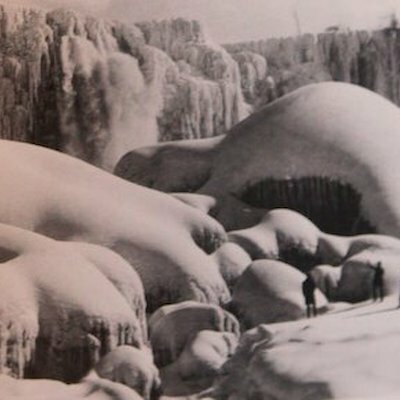 As I mentioned in a previous blog about Niagara's Ice Bridge, visitors and locals in the late 1880’s and early 1900’s ventured out onto the IceBridge which formed during very cold winters. Those who ventured out onto the ice from both sides of the river were usually in a party mood. Skating, sledding and climbing on the ice and the spectacular ice mountains at the base of the falls were popular. 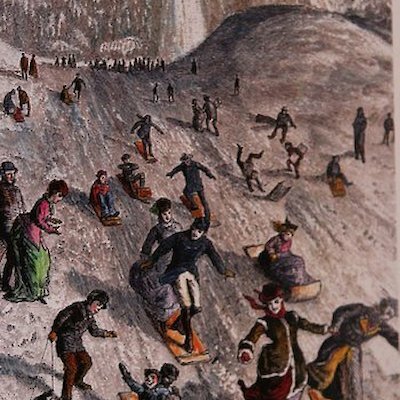 Enterprising entrepreneurs even set up shanties on the ice and sold everything from hard liquor, refreshments, tintype photographs and other souvenirs. A newspaper account in 1888 estimated the crowd on one Sunday at 20,000! 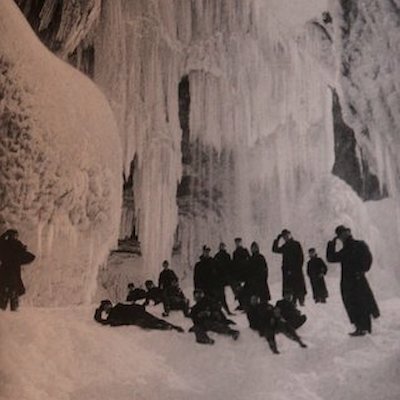 All this ended when the IceBridge in 1912 suddenly broke up, sweeping three tourists to their death. Since then it has been illegal to venture out onto the IceBridge. 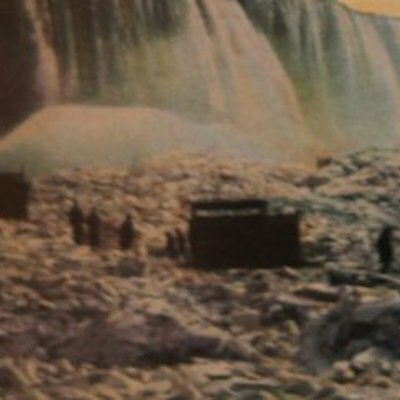 I’ve attached a few old photographs and a coloured sketch of what it looked like when people went onto the Ice Bridge in Niagara Falls.